The 5-month amnesty for doctors and dentists on penalties to restore their registration with the Health Professions Council of South Africa (HPCSA) has proved a dismal failure in attracting people back to help with the public service staffing crisis, officials admit. Only 3 doctors or dentists used the 5-month amnesty, which ran from 1 November last year to 31 March this year, compared with 59 (doctors and dentists) during a similar 'returnee' amnesty extended to all health care disciplines in 2007. Both figures were even less than non-amnesty restorations over identical periods in previous years. This was confirmed by Advocate Boyce Mkhize, HPCSA Registrar, and Professor Thanyani Mariba, Chairperson of the Medical and Dental Board (MDB). The clumsy and isolated intervention comes in the midst of an unprecedented shortage of public sector doctors, especially in rural areas, created mainly by the new 2-year internship that has reduced available community service conscripts by 78% this year. There is also a growing backlog of job applications by foreign-qualified doctors because of a corruption probe at the health department's Foreign Workforce Management Programme. This means that South Africa's current two lifelines for rural health care delivery are now frayed to breaking point. Stories of rural district hospitals operating on one or two doctors and less than half their complement of nurses abound amid growing frustration and enmity between practitioners and provincial politicians. 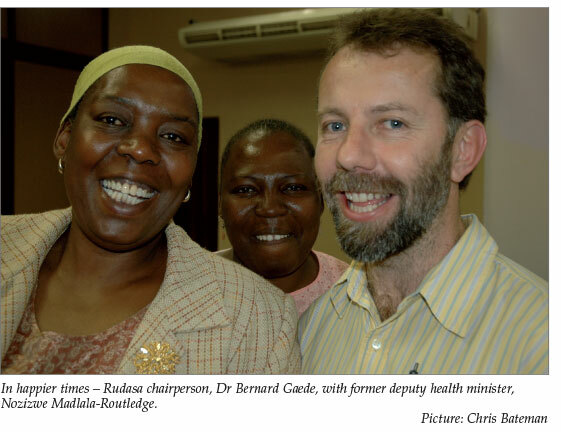 Professor Steve Reid, Director of the Centre for Rural Health at the University of KwaZulu-Natal (Durban), and Dr Bernhard Gaede, chairperson of the Rural Doctors Association of South Africa (Rudasa), were unsurprised by the amnesty failure. 'They're operating in cloud cuckoo-land if they think just an amnesty will lure people back. We need a comprehensive intervention where management teams make things work, skills are used maximally across the system and doctors don't feel devalued,' said Reid. The current lack of community service doctors was pointed out 4 years ago and doctors were 'really struggling with their backs to the wall', with very few South African doctors left in district hospitals now staffed mainly by foreigners. Reid said he was aware of 'a whole lot' of foreign doctors who had passed the MDB exam but could not get registered and had been waiting for over a year. 'It's a crisis caused by the lack of community service practitioners plus the way we are treating our doctors,' Reid said. Gaede said progress would be possible if government aggressively marketed the lifestyle and professional exposure doctors received in rural areas - like the Rural Health Initiative was doing. However, amnesty without a wider package was 'not enough of an attraction'. 'We say that if you come back we won't fine you, but we won't say why you should come back!' he quipped. Mkhize said the HPCSA agreed to the amnesty last year after the MDB 'made a spirited request' to re-open it in the light of the then looming crisis. Unlike the prior amnesty that was offered to all health care professionals and required 100 hours of unpaid community service in the public sector within the returnees' first year, the later doctor and dentist amnesty required a full year of (paid) community service. Mkhize said it was compulsory for practitioners to inform the Council when they stopped practising locally and emphasised that exercising their right of voluntary erasure precluded the need for any restoration penalties. In spite of this hundreds of doctors and dentists leave the country annually without bothering or remembering to de-register while others fail to pay their registration fees, which also leads to erasure. The HPCSA has only 13 doctors and dentists on record as having applied for voluntary erasure in the first 4 months of this year and 83 noted for 2007. Mkhize said 'The board and council need to keep track of people from an inter-regulatory point of view. Somebody may be running away from their sins in another jurisdiction or vice versa and we need international protocols to keep tabs - that's part of our job,' he said. He stressed that the HPCSA relied entirely on practitioner membership fees for funding and received no government or outside financial support. Mkhize and Mariba, who have had their differences in the past, said that the amnesties were premised on anecdotal information from members that there 'were a lot of members out there waiting to come back and that the penalties were a disincentive'. Added Mariba, 'now people are saying it was a figment of the imagination that people wanted to return'. Now, instead of simply paying the registration fee for the year of return (and doing the community service which Mhize says was designed to address the crisis) MDB members will again pay anything from R750 to R7 000, depending on their particular disciplines' statutory fees. In addition, they must pay retrospective fees for every year they have been away. The reinstated rules are: restoration within 6 months after erasure is equivalent to twice the annual current fee, plus the outstanding fees. Restoration between 6 months and a year since erasure is equivalent to 4 times the current annual fee, plus the outstanding fees. Restoration after 12 months since erasure equals 5 times the current annual fee, plus the outstanding fees.